Are you planning your next European vacation and are feeling a bit uninspired, or are you craving a travel adventure that is a little less crowded and a little more unique than the last couple of trips to "The Continent"? 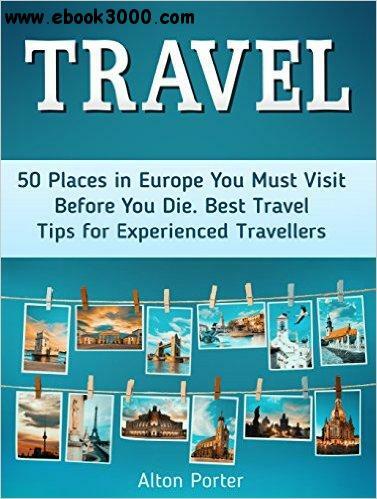 Look no further than this book as we have compiled a list of 50 places from every corner of Europe that you must visit before the tourist hordes discover them! We have included places and experiences in some familiar countries like London, France and Germany and those that will intrigue and excite you, like Istanbul, Porto, and a rail trip through the Siberian Russia. The variety of travel options in this e-book guaranteed to satisfy anyone with an urge to go where far fewer have gone before and return home with tons of unique stories and anecdotes. Beaches, museums, monuments islands, and waterways frequented by the local populations and experienced travelers.